Hey there, coach! How does your team see you? Contact – How Much and How. Time and availability weigh heavily in how people respond to a coach. Some people thrive with limited access, while others need more handholding. Will they have private access or only group calls? In-person discussions or by phone? Your coaching needs to be adaptable, with a deep level of commitment to helping achieve objectives. Another key to success is the coach’s willingness to check in on how the coaching itself is going, agreeing to modifications if needed. Coaches who make this a regular part of their practice always impress me. It demonstrates how committed they are to long-term success. Think about: What’s your approach, and is it the best fit for your people? Where might you adapt or personalize for greater impact? What can you do less of? Too Soft or All Business: Think about how comfortable your team would be telling you the truth about their progress. Would your team be willing to share when they have issues, or when they’re not making their goals? On the other hand, a coach who is all business without understanding the underlying factors will not be supportive enough to get results. Think about: Can your team admit weakness, or does it get covered up? What coaching environment and expectations will lead to peak individual and team productivity? If there’s a person where you know you’re not a good coaching match, can they be partnered with an outside mentor or a stronger team colleague? Excitement to Work Together: People need to feel excited about working with you as their coach. Without positive anticipation, people do not enter the arrangement with the best mindset for success. Also, as difficult issues come up (and they will!) you need that core of excitement and trust to stay on track. Think about: Do you and your team members look forward to coaching moments? If not, what needs to change? What will sustain the drive to productivity? Early on in training for triathlons, at the age of 50, I worked with a coach who primarily handled young elite athletes. I liked him, and he certainly had all the credentials. I tried to fit in and keep up. He had me train too hard for too long. As a result I showed up for races fatigued, definitely not prepared for peak performance. I needed a coach who understood what works best for older athletes. When I found that person, I quickly learned that training less, with more intensity, was key to my peak performance – and led me to completing my first Ironman. I’m a good writer and do most of my own business writing. However, when it came to my website, I chose to work with a web copy coach. Web copy is different than what I normally write and this coach knew how to pull out the statistics, quotes and proof stories that I would never have highlighted. 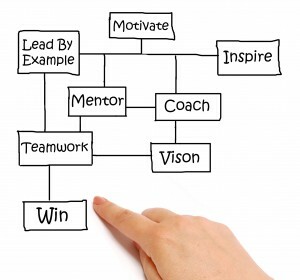 When you choose to work with me, I’ll help you be the type of coach your team needs. You’ll discover how to instill excitement, bring out the best in your people, and motivate team members to follow through. You’ll learn how to check in periodically without ‘hovering’, adjust to changes and different personality types, providing the support your team members need to maximize goal achievement.